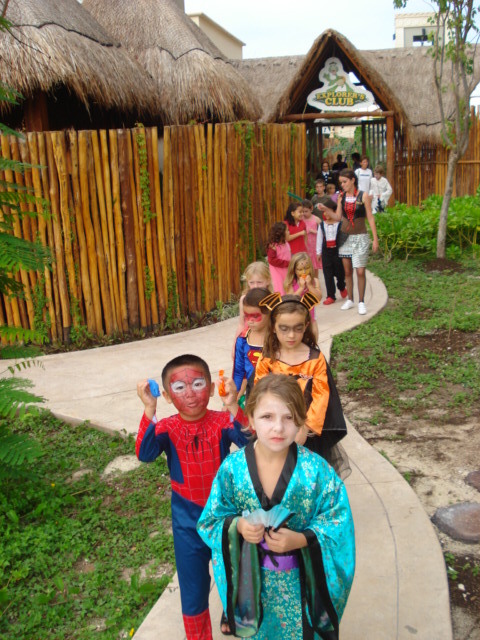 Are you planning to travel to Dreams Riviera Cancun Resort & Spa over Halloween? If so, we are a fun-filled weekend in store for you! First, what would Halloween be like without a good old-fashioned Halloween costume contest! That’s right! Don’t forget to pack the Halloween costumes for the entire family. 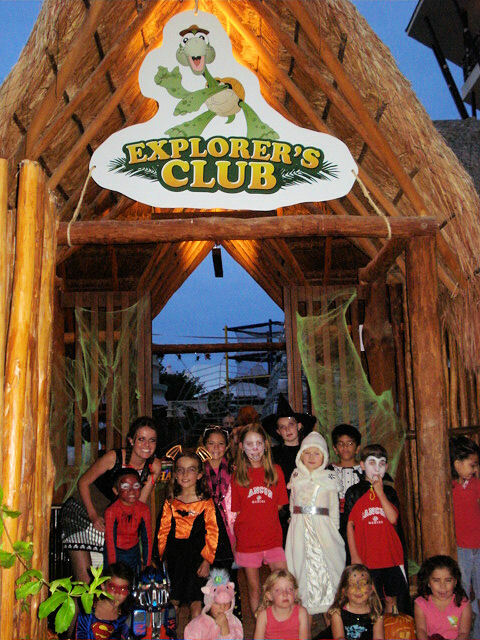 We’ll be awarding prizes for the most creative costumes for all ages! 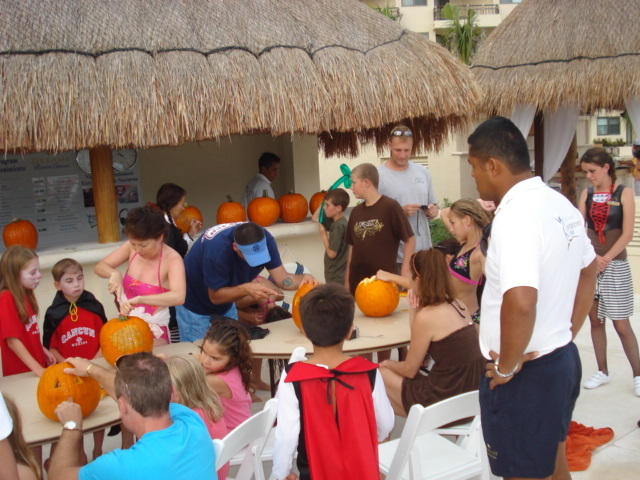 Children can participate in a variety of fun activities, including arts & crafts, movies, pumpkin carving (with the help of Mommy or Daddy) and apple bobbing. 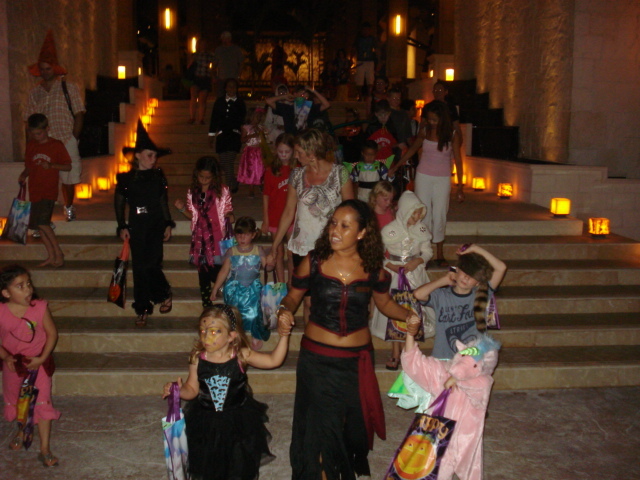 We will also have designated candy stations set up across the resort for the children to trick-or-treat for candy at sunset. And Halloween isn’t just for kids! There will be plenty of fun for the adults too! Dreams Riviera Cancun is planning to have themed drinks of the day (who wants a Bloody Mary? ), scary movies, a Halloween event with live music and much more. 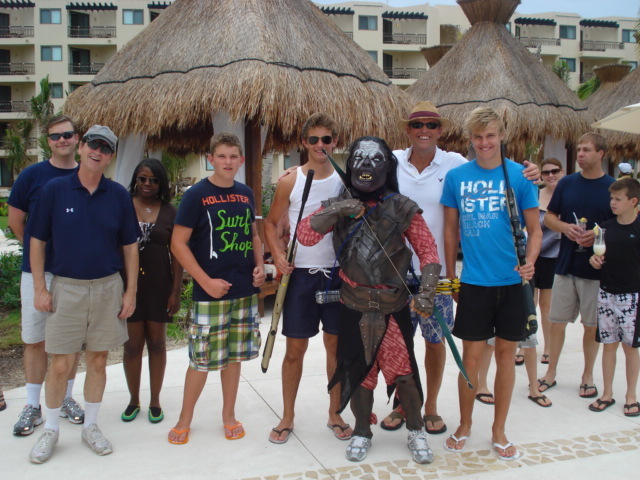 Check out some pictures from last year’s event. This year is sure to be even better! 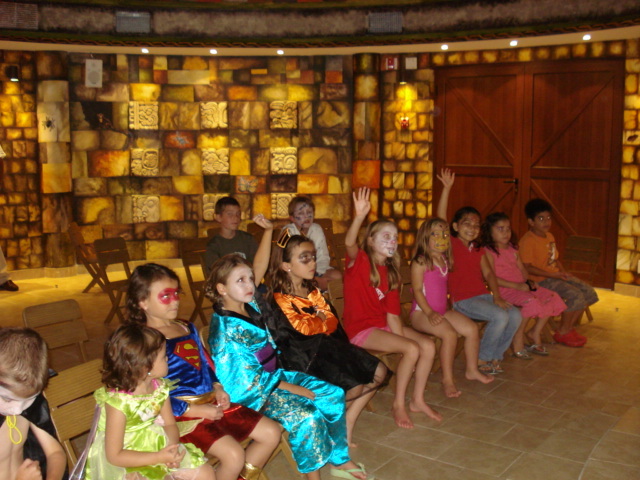 This entry was posted in Dreams Riviera Cancun and tagged Children’s Activitie, Halloween, Resort Entertainment. Bookmark the permalink. 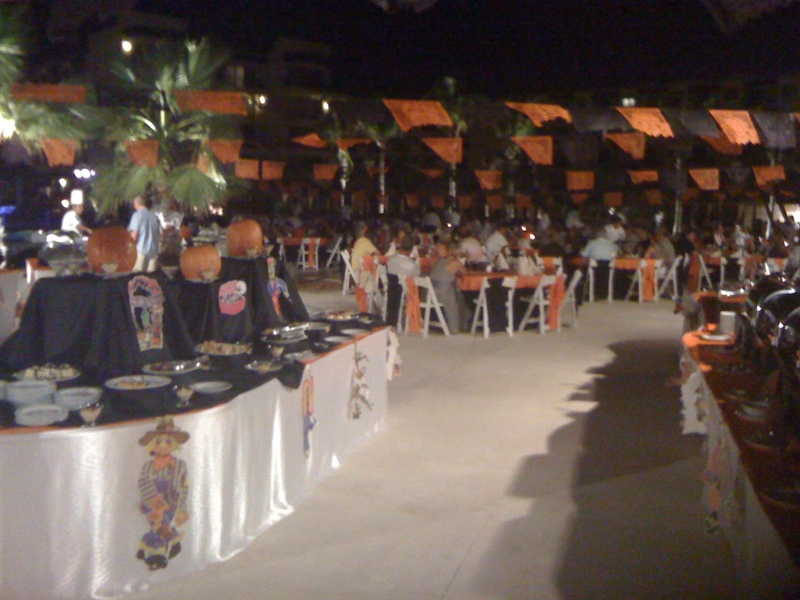 Dreams Riviera Cancun really ROCKS on Halloween and EVERYDAY!